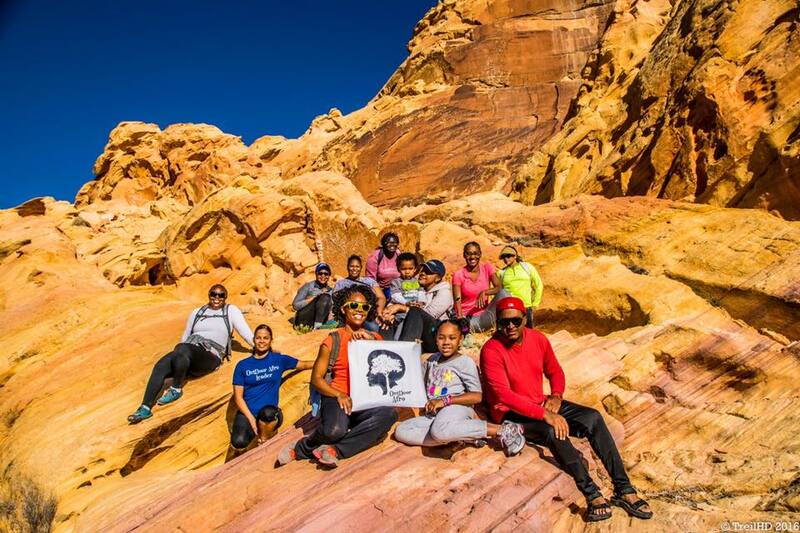 Focus: Outdoor Afro celebrates and inspires African American connections and leadership in nature. With nearly 80 leaders in 30 states from around the country, Outdoor Afro helps thousands of people connect to outdoor experiences while taking better care of themselves, their communities and our planet. Check out: Outdoor Afro's full-length Q&A feature here! Focus: Evergreen actively engages Canadians in creating and sustaining healthy and dynamic urban environments in schools, public spaces, housing and transit systems and communities at large. Check out: Evergreen's full-length Q&A feature here! Focus: The American Hiking Society empowers all to enjoy, share and preserve the hiking experience. On connecting people with nature: "The American Hiking Society works with Congress and federal agencies to shape public policy and legislation affecting hiking. We organize and coordinate Volunteer Vacations and National Trails Day® – nationally recognized stewardship programs that help keep our trails open, safe and enjoyable. We are committed to increasing Americans' participation in and enjoyment of hiking through outreach, events, educational materials and partnerships with other recreation and conservation organizations. This is important because hiking has a transformative power: It boosts mental and physical health, engenders respect for ourselves and our surroundings and creates and strengthens a sense of community." Check out: National Trails Day®! On June 1, 2019, people can hit the trail, make new friends and discover their adventure! There are thousands of events to choose from across the country that connect people to trails through hiking, paddling, biking, horseback riding, trail stewardship and many more opportunities. Focus: Sustainable Travel International works to improve lives and protect places through travel and tourism. On connecting people with nature: "With more than 1.4 billion people traveling every year, tourism has immense power to impact some of our planet's most incredible natural places—for better OR worse. We seek to ensure that these travelers are a force for positive change by equipping them with the information they need to make environmentally friendly travel choices and minimize their footprint on these sensitive ecosystems. In addition, we engage visitors and residents alike in protecting the places they visit or live, by empowering them to actively contribute to environmental conservation efforts." Check out: Sustainable Travel International is launching NEMO, a different kind of conservation movement powered by a community of travelers and adventurers who are actively protecting the Mesoamerican Reef. Whether you're diving, snorkeling or just relaxing on the beach, you can become a NEMO to help local scientists and authorities watch over the reef. All you have to do is post photos of the fish, coral and threats you see while exploring the reef to Instagram using #SupportNEMO and also note the location (dive site or GPS coordinates) and date it was taken! Focus: The Conservation Alliance engages businesses to fund and partner with organizations to protect wild places for their habitat and recreation values. On connecting people with nature: "The Conservation Alliance collects annual membership dues from companies with a strong commitment to the outdoors and contributes 100 percent of those funds to organizations working to secure permanent protection for wild lands and waterways for their habitat and recreation values. By protecting these places, we help ensure that people have special wild places to explore and enjoy, now and into the future. In addition to providing funding, we have a comprehensive advocacy program through which we bring business voices to bear on efforts to protect wild lands and waterways." Check out: The Conservation Alliance celebrates our 30th Anniversary in 2019. They are encouraging their member companies to participate in 30th anniversary initiatives this year. 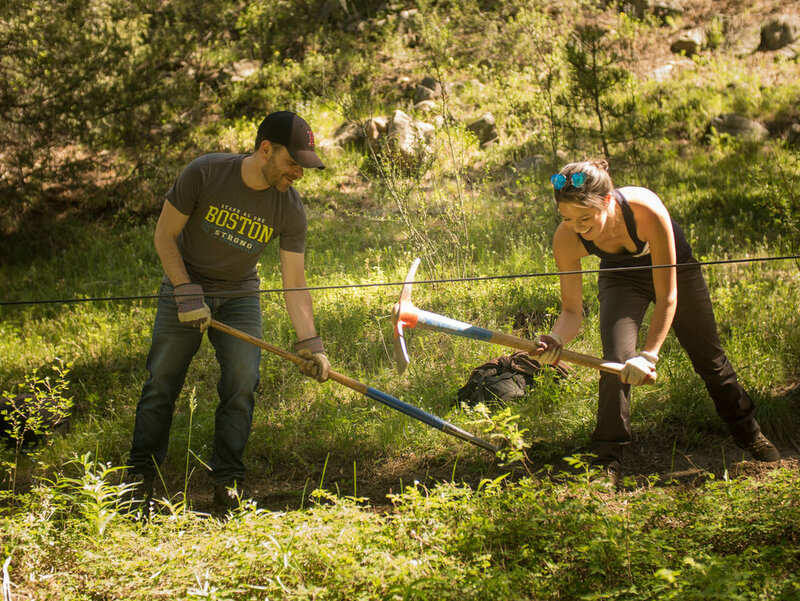 Conservation Alliance will also organize a series of 9 Backyard Collective events, half-day stewardship projects that bring member company employees together for a day of restoration. Focus: Trees for Cities works to improve lives by planting urban trees to create greener cities across the UK and around the world. Whether it's revitalizing forgotten spaces, creating healthier environments or growing food with kids, Trees for Cities collaborates with local communities to cultivate lasting change. Check out: Clean Air for Schools and Forgotten Places works with primary schools that have been identified to be in the top 50 most polluted areas of London. Trees for Cities' greening projects in these schools will have a focus on ensuring that students have better access to clean air, improved quality of life, and more access to nature. Learn more here! Focus: The Eden Project connects individuals with each other and the living world, inspiring them to work towards a better future. On connecting people with nature: "At our HQ in Cornwall, our covered Biomes house the largest rainforest in captivity and Mediterranean landscapes. Our plants, exhibits and exhibitions celebrate our relationship with the natural world: plants are our lifeblood, our life-support system. We are all interconnected and depend on nature for resources (such as food, medicines, materials) and services (such as climate regulation, air conditioning and water recycling)." Check out: The Eden Project is the new home to the National Wildflower Centre (NWC), which is devising programmes with the bold aims of reversing ecological decline and bringing wildflowers back into the UK's living culture. This is a response to the challenge of the world's sixth great extinction, showing how policy can be changed and challenging what "green infrastructure" is in the modern world. The NWC is establishing creative conservation projects in urban and rural areas across the country and using wildflowers as a conduit for new cultural ecology projects. Above all, the aim is to use wildflowers to bring biodiversity, delight and color into the lives of communities, bridging social divides and stereotypes. By building up living seed banks and working with other advocates, this legacy could be fully incorporated into the UK's urban and rural landscapes. Learn more here. Focus: Friends of Katahdin Woods and Waters preserves and protects the outstanding natural beauty, ecological vitality and distinctive cultural resources of Katahdin Woods and Waters National Monument and surrounding communities for the inspiration and enjoyment of all generations. On connecting people with nature: "We help our members and visitors have exceptional experiences connecting to Katahdin Woods and Waters National Monument (the Monument) by offering one-on-one trip planning, maps and guides and connections to services and accommodations in the region. Each year, we publish a map of the iconic Loop Road and co-publish a recreational map of the Monument and surrounding regions. This summer, we'll be offering maps to paddle sections of three rivers in the Monument: the East Branch of the Penobscot, the Seboeis River and the lower Wassataquoik Stream. We also work to connect local youth to the Monument through the Katahdin Learning Project, a place-based education program that engages students in real projects in the community and the wild and natural places surrounding them." Check out: This spring, Friends of Katahdin will be working to engage new and renewing members in planning for the future of Katahdin Woods and Waters National Monument. The Monument, designated by President Obama in 2016 is less than three years old and you can be a part of its future. The National Park Service is in the final year of drafting their Management Plan, which will serve as the road map for the Monument for decades to come. Members will be asked to weigh in to share their vision of the Monument and will also get an early, exclusive look at their new maps of the three rivers in the Monument and have a chance to offer feedback. Visit here to sign up as a member and help Friends of Katahdin map the future of Katahdin Woods and Waters! Focus: The Appalachian Trail Conservancy preserves and manage the Appalachian Trail, ensuring that its vast natural beauty and priceless cultural heritage can be shared and enjoyed today, tomorrow and for centuries to come. On connecting people with nature: "Through our work, we enable people from around the world to have the one-of-a-kind experience of walking in the last remaining contiguous landscape in the eastern United States. The Appalachian Trail is within a day's drive of over half of the American population, providing over 3 million visitors each year with the chance to escape from the hustle and bustle and experience the mental and physical benefits of walking in protected natural environments." Check out: In early 2019, the ATC launched Wild East, an initiative designed to bring greater attention to the recreation opportunities available to Appalachian Trail visitors,as well as the benefits the Trail has for wildlife and migratory birds, local communities, the historical landscapes and environments surrounding the A.T., night sky preservation and so much more. Visit here to learn more and get involved and here to see photos of the Wild East project. Focus: Mountain Wilderness Germany is committed to preserving the last vital wilderness areas of the German Alps and mountain regions for rare plants and animals and also for the people who need the authentic experience of these landscapes to develop their personality and to maintain their mental and physical health. On connecting people with nature: "Outdoor sports are booming and the number of tourist attractions in the mountains are increasing explosive. Mountain Wilderness is Germany's organization for the protection of the Alps. We are committed to the wilderness and environmentally friendly mountaineering. That's important because the fun stops where it destroys nature." Check out: For years, Mountain Wilderness Germany has been fighting against new tourism development projects such as the expansion of ski resorts that impact wilderness more and more deeply. On April 7, 2019, Mountain Wilderness Germany will organize against the merger of the ski resorts Hochötz and Kühtai in Austria in support of Mountain Wilderness Austria and local initiatives. To learn more, visit here.